The authors of the immortal hits "Bring me to Life" and "My Immortal", Evanescence, will perform for the first time in Kyiv on June 26 at the Stereo Plaza. 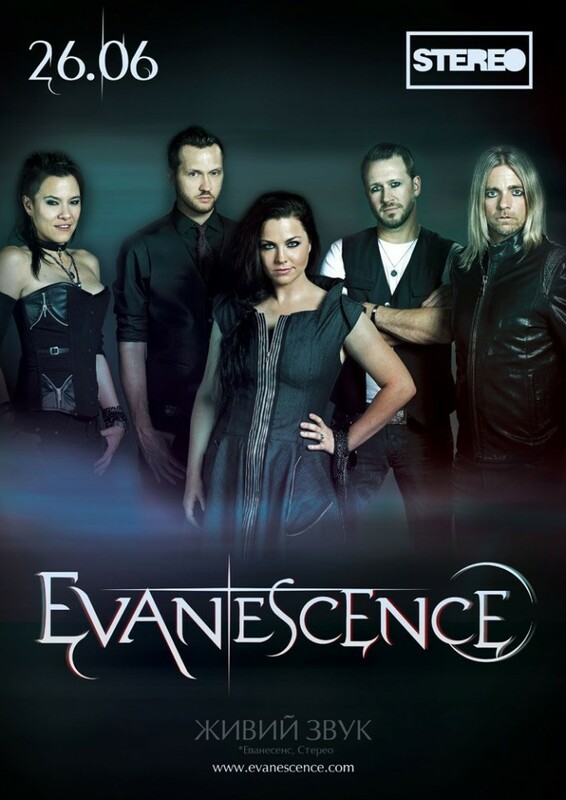 Evanescence’s music combines alternative, gothic rock, and metal. The band’s work is a matter of dispute for many critics, who find it difficult to classify its style in one direction, but this is not a hindrance to the million-strong army of the fans to adore and worship the group for more than ten years of the band's existence. Evanescence's debut album "Fallen" was released in 2003 and sold over 15 million copies. The cult song "My Immortal" was on the top positions of the charts for several months in a row in 30 countries and still inspires music lovers around the world! The band won two awards of Grammy and two awards of Billboard Music Award, and it also has an inexhaustible love of its fans.